Toshiba laptops are another increasingly popular piece of tech around campus. Toshiba mixes quality with a reasonable price range. They have plenty of models and sub-models to choose from, so it’s best to know exactly what you’re looking for (hardware-wise) when you purchase your laptop. 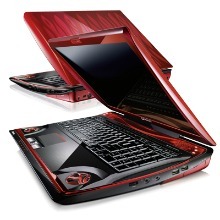 I've scanned the Web and compiled a ton of reviews on Toshiba laptops. Like any brand they get positive and negative comments, but all around customers are satisfied with Toshiba quality. Here is a look at the range of laptops Toshiba has to offer, and then a comparison of them to the average college student's needs. The Satellite is Toshiba's baseline laptop. There's a wide price gap between Satellite sub-models, which can range anywhere between $450 to over $700. The size of the display is a major factor of price, however you can find higher performance machines with smaller displays. Satellite monitors are 13.3" to 17.3" large. ** College Student Tips - All Satellite sub-models will do most of what you need to do for everyday college tasks (web surfing, MS Office applications, etc.). The Satellites aren't built for graphics intensive programs, so you should really forget this model if you want to game or need it for high-resource software. 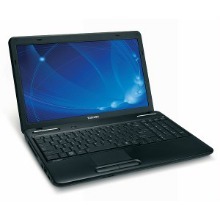 The cheapest of Toshiba laptops and recommended for most college students. The Satellite pro is marketed as a business/professional laptop, but since college classes require a lot of "business-type" work, it may be suitable for some. The pro jumps up in price quite a bit from the standard Satellite with models starting at $750 retail. To justify the price, the Pro gets a small boost in hardware power as well as some spiffy new features like Toshiba Dynadock U compatibility. 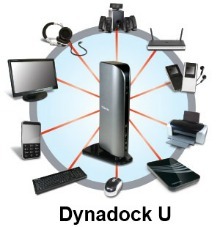 The Dynadock U allows easy integration for dual monitors, TVs, printers/scanners, and has built in HD video and audio card. If you spend more money on tech than alcohol, the Qosmio might be a solid choice for your high-end computing needs. The Qosmio series is Toshiba's top model for graphics capabilities and all around power. The default installed power in these meet or surpass almost all gaming, HD, and graphics intensive program requirements out there. Students can also stream movies from the Internet to a big-screen TV with very little (if any) frame rate lag. 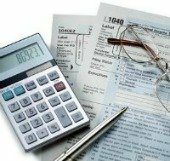 ** College Student Tips - The Qosmio, like other gaming computers of any brand, is pretty expensive. I can't think of many direct, college-related things you might need the Qosmio for; however, if you like to play games and you're into multimedia, then this laptop would be worth the money.